009 Style Distributors come complete with points and condensor or with electronic ignition installed. Also available with a genuine Comp-u-Fire unit installed. 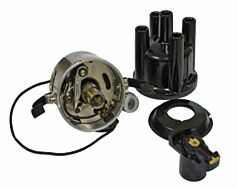 These mechanical advance distributors are great for high performance engines with dual carbs etc.... 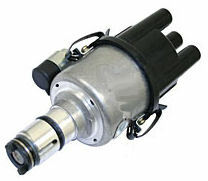 These are replacements for the Discontinued Bosch 009 Distributor. Also available in Chrome for an awesome deal. These Distributors are to be used with Stock Bosch Blue VW Coils (00012 Bosch). Must use a coil with an internal resistor or external ballast resistor. Not Compatible with High Output Coils. (ex. MSD, Flame Thrower, Excel Etc...) Click more info to choose yours.